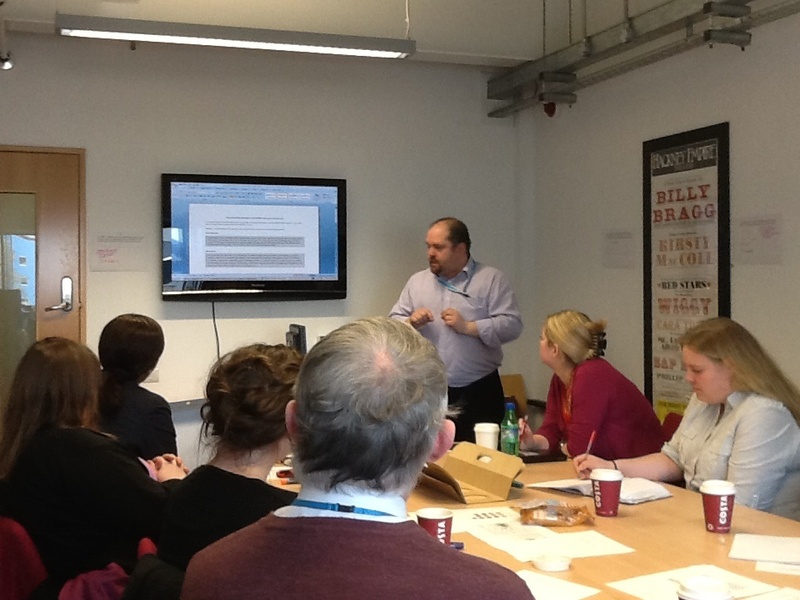 On Wednesday 13th March Stephen and I organised a workshop for academics in the School of Psychology. Also helping us on the day was Dr Richard Plant, who formerly worked on two JISC MRD Projects (DMTpsych Project at the University of York, and Data Management Planning and Storage for Psychology (DMSPpsych) at the University of Sheffield. Stephen Grace and Our Survey Says…. Yesterday saw the start of the training strand of the TraD project which is developing skills appropriate to those planning a library-led RDM support service. Yesterday’s first meeting brought together seven subject librarians at UEL in addition to the Academic Services & Skills Manager, an Assistant Librarian and two Commonwealth Fellows from Ghana and India.